I’ll be honest, I haven’t even played the original. I think most sane people haven’t (I’m not even sure if I’m kidding). The reviews were abysmal with a total of three positive reviews on Metacritic. Three. Those terrible reviews prompted major adjustments to the development team including a new director, Naoki Yoshida. 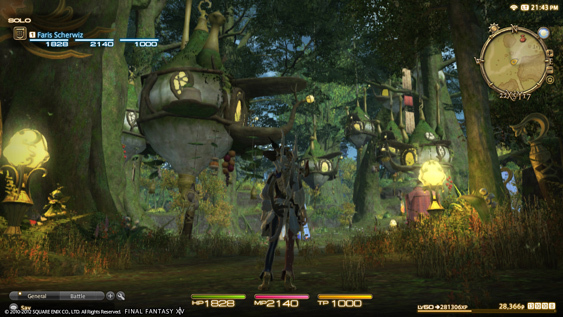 Despite this, I and many others are excited to play this totally revamped FF:XIV. I mean who wouldn’t want an awesome Final Fantasy MMO? Nobody I want to know. First things first: let’s talk about the worlds being full. Is it really all that bad? Yes. The worlds constantly being full is a legitimate issue that can be very frustrating. I have spent a good chunk of time just waiting to play as my character. I even created an additional character after being tired of waiting for my particular world to allow for more players just to find that no North American servers were available (I found an open European server that put me in a queue). Anyways, it’s not too much of an issue if you are patient and/or you make sure not to play at peak hours. I’m fairly certain this issue will be cleared up in the coming weeks as the FFXIV:ARR team is currently working on increasing player capacity. Nonetheless it is still issue, and if you feel like this would be so frustrating to you that it would ruin your experience then I would recommend you steer clear of FFXIV:ARR until they get the it all cleared up. All right, so with that out of the way, let’s get to the good stuff! What is the game like? Well, so far it’s been very enjoyable. The character customization is pretty detailed. You can even choose from nearly a dozen voices. 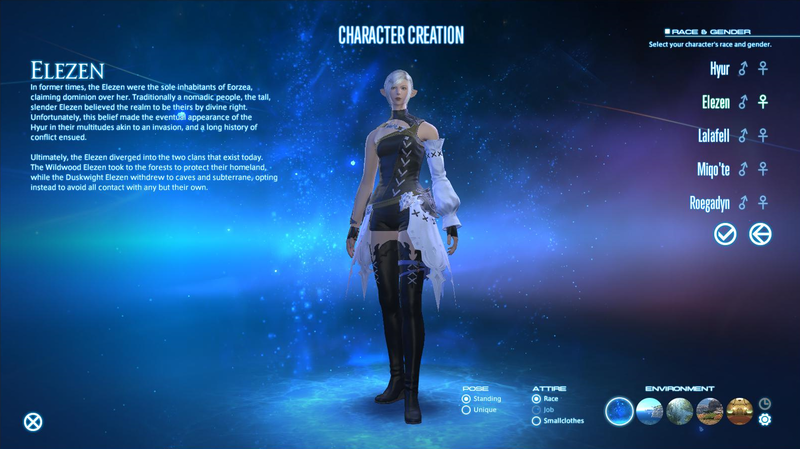 In A Realm Reborn you can play as a male or female version as well as a subdivision of each race. The races are: Hyur (Human), Elezen (Elf), Lalafell (Absurdly little person), Roegadyn (Huge tank guy) and Miqo’te (Cat person). I have two characters so far: the aptly named GameBlog Girl and (also aptly named?) Billy Shakes. They are Wildwood Elezen and Sea Wolf Roegadyn, respectively. I had lots of fun creating my characters as there are plenty of customizations available within the character creator. Want to make a tall Hyur with colorful war paint and some badass battle scars, then go for it. Also, you get to choose your character’s birthday and his or her deity. Cool, right? The battle system: standard yet satisfying. After choosing your race and customizing your character you get to pick your class of course. Currently I’m playing as a Gladiator and a Marauder which are both Disciples of War so the combat is up close and personal for me. The battle system is pretty straightforward: you simply lock on to a target and choose the appropriate action. What’s really cool is a thing called chaining. If you kill enemies in a row quickly enough you gain extra experience. How cool is that? Also, there are fate events which are public events that you can participate in. However, I won’t be able to speak for the entire battle system until I have done a full review of the game. I can say that I adore the UI. The great graphics and lovely music (great music in a Final Fantasy game, who would have guessed?) aren’t hindered by a terrible menu system. The controls are great even on the PS3 Version! I was not expecting that–at all. The game is super simple to pick up and you’ll be able navigate the menu system easily and efficiently, which is a huge plus. Overall, I can only say positive things about the first few hours of gameplay. Still, I won’t be able to say if it’s worth the monthly subscription fee just yet. We’ll have to see if the game provides enough content beyond just the main story. That being said, if you don’t mind the long waits to play, I’d pick up a copy and enjoy your subscription-free 30 days. 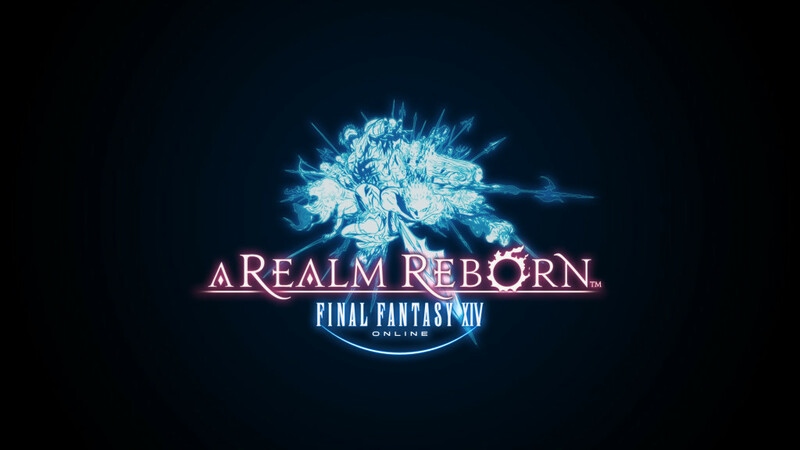 What do you think about Final Fantasy XIV: A Realm Reborn? Terrible or terrific? Botched or beautiful? Tell me in the comments or tweet @gamebloggirl!